Add excitement to your game with our New 100% Clay Casino Pro Poker Chips. Made from the Horse Head mold, these are the same 9.5 Gram Chips used in leading casinos throughout the United States and Caribbean. 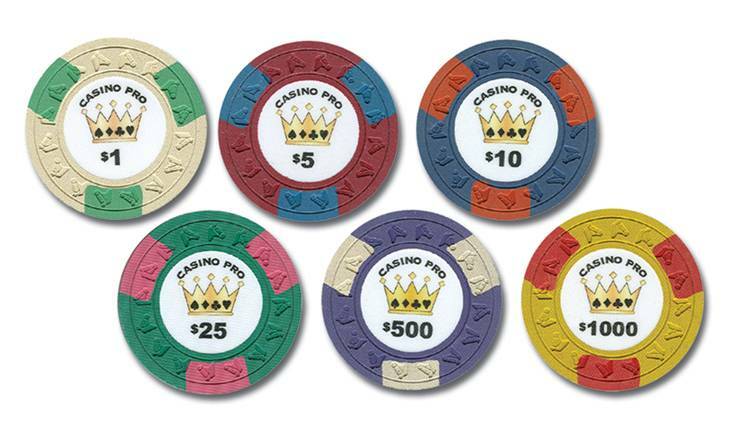 Casino Pro Chips feature vinyl inserts with a crown design, as well as unique edge spots for each chip denomination. The only Real, Pre-Denominated Casino Chip on the market today, Casino Pros are available exclusively through Kardwell International. The minimum order is 25 Poker Chips (you can mix and match chip denominations). 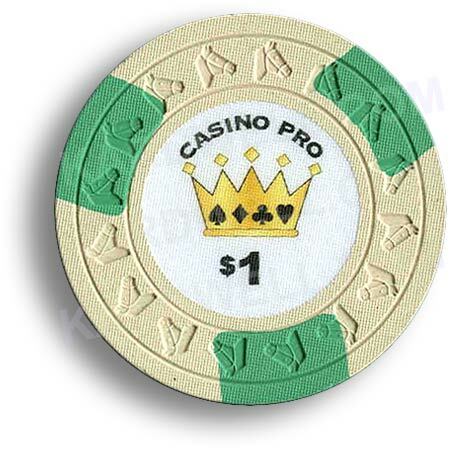 Pre-Denominated Casino Pro Poker Chips are in stock for same day shipment.